06 Şubat 2019 Çarşamba 18:00 - 7 reads. The Veto of the EU Commission in the proposed Siemens-Alstom merger provides for harsh criticism: politicians are now calling for a Reform of EU competition law and a debate of principle. The merger of Siemens and Alstom's train business has failed in Brussels is now calling for the Federal economic Minister, Peter Altmaier and his French colleague, Bruno Le Maire, a Reform of the competition law. "It is important that Europe sets itself up so that we can represent our interests with any prospect of success in a market economy, competition in other countries around the world," said Altmaier. Together with France, would prepare an Initiative, "leading to a contemporary adaptation of European competition law." How exactly this is best to achieve, will be examined. Le Maire described the decision as "political and economic mistake" that "serve the economic and industrial interests of China". The rule he described as "outdated". A ICE and TGV at Paris Gare de l'Est (archive image from 2007). The Fusion is left to the manufacturers, Siemens and Alstom failed. Siemens CEO Joe Kaeser is also a change of heart in Brussels: "The upcoming European elections and the new leadership provide a unique opportunity to build a Europe that can compete with a modern external economic policy with the Best in the world." The decision to show "that Europe urgently needs structural reform to be economically viable in a global networked world in the future". Siemens CEO Joe Kaeser calls for structural reforms in Europe. The German company Siemens and French Alstom-group had agreed on a year, your sectors of railway technology. However, the EU Commission pushed the merger in a tie. 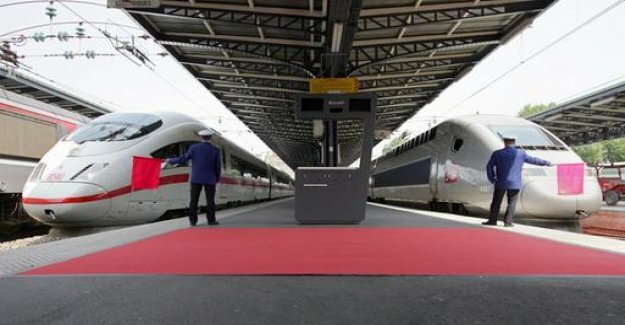 The manufacturer of the ICE and TGV have argued, unsuccessfully, that they might together offer to the Chinese state group CRRC better to stand up, threatening to conquer the European market. Margrethe Vestager, the top of the EU's competition guardian, the not apply: "In terms of high-speed trains, the Commission considers that it is highly unlikely that new competitors from China will exercise in the foreseeable future, the competitive pressure on the companies involved."